The University of Washington (UW) is one of 19 universities awarded the National Institute of Standards and Technology (NIST) Public Safety Communications Research (PSCR) grant to develop performance analysis tools for the proposed next-generation broadband LTE based FirstNet (for emergency/first responders). The grant is part of the First Responders Network Authority (FirstNet) appropriations. Congress has allocated FirstNet 20 MHz of spectrum in 700 MHz band and up to $7 billion in funding for the construction of a nationwide network (awarded to AT&T in a public-private partnership model), achieving a major recommendation post 9/11 for a single interoperable platform with the requisite capacity for new features. These features integrate new data, voice and location-based services. 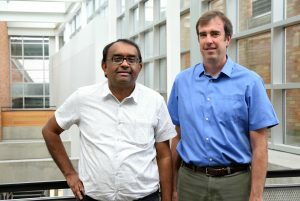 “UW EE is in a unique position to offer support to these efforts due to the department’s key long-standing role in developing the network simulator ns-3,” UW electrical engineering (UW EE) Professor and PI on the grant Sumit Roy said. The proposed analytical studies will initially focus on benchmarking currently used by P-25 digital Land Mobile Radio (LMR) systems intended for primarily voice communications. UW EE researchers will identify a set of emergency scenarios and create corresponding traffic (demand) models for analyzing the next-generation of LTE-based public safety network architecture. This research presents an opportunity for UW EE to partner with the City of Seattle CIO’s office to analyze the city’s emergency response units current operations and prospects for broadband LTE adoption. 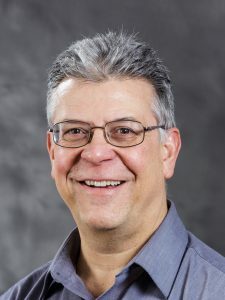 Co-PIs on the two-year grant, entitled “Modeling, Simulation and Performance Evaluation for Future Public Safety Communications Networks,” include UW EE Professor Jim Ritcey and Affiliate Professor Tom Henderson.